Ecstatic over the SC’s decision to examine fresh revelations on the Rafale deal, Gandhi had claimed a moral victory and said that the court has made it clear that PM Modi had ‘committed theft’. The Supreme Court on Monday issued a notice to Congress president Rahul Gandhi in connection with a contempt petition filed against him by BJP’s Meenakshi Lekhi in connection with the Rafale deal case and has sought an explanation from him. The petitioner Lekhi has claimed in her petition that “the words used and attributed by him to the SC in the Rafale case has been made to appear something else. He is replacing his personal statement as the Supreme Court’s order and trying to create prejudice”. Rahul Gandhi has to file a reply in Supreme Court before Monday. The court has fixed the matter for further hearing on April 22. Meenakshi Lekhi, the BJP Member of Parliament from the New Delhi constituency, had filed a petition in the Supreme Court alleging that Rahul Gandhi had committed contempt by attributing his ‘chowkidar chor hai’ remarks on the Rafale controversy to the top court. 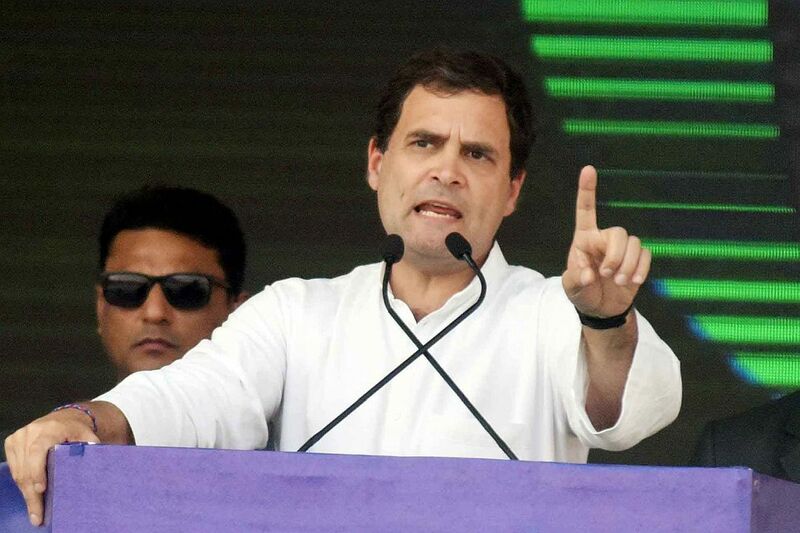 Rahul Gandhi, while welcoming the Supreme Court’s decision to examine fresh revelations on the Rafale deal on April 10, made remarks about the prime minister and corruption, which Lekhi alleged were attributed to the apex court. Lekhi claimed the imputation that the court had ruled as much was contempt because it imputed words to the court that it hadn’t said. “The Supreme Court has made it clear that ‘chowkidarji’ (watchman) has committed a theft,” Gandhi told reporters during a rally in Amethi. Defence minister Nirmala Sitharaman had earlier accused Gandhi of contempt. In a setback to the Centre, the Supreme Court had earlier this month allowed leaked documents to be relied upon by petitioners seeking review of its Rafale judgement and dismissed the government’s preliminary objections claiming “privilege” over them.